Legal experts and human rights institutions have raised alarm over President Elect ,Emmerson Mnangagwa’s claim that he intervened in the release of MDC Alliance co principal Tendai Biti who was arrested and freed on bail yesterday. Biti appeared before the magistrate court yesterday accused of (1) inciting the 1st of August violence that claimed six lives following the military’s firing of live bullets on protesters (2) announcing the elections results in which he claimed MDC Alliance President Nelson Chamisa won the popular vote in contravention of the electoral act that sorely gives the commission the jurisdiction to announce results. 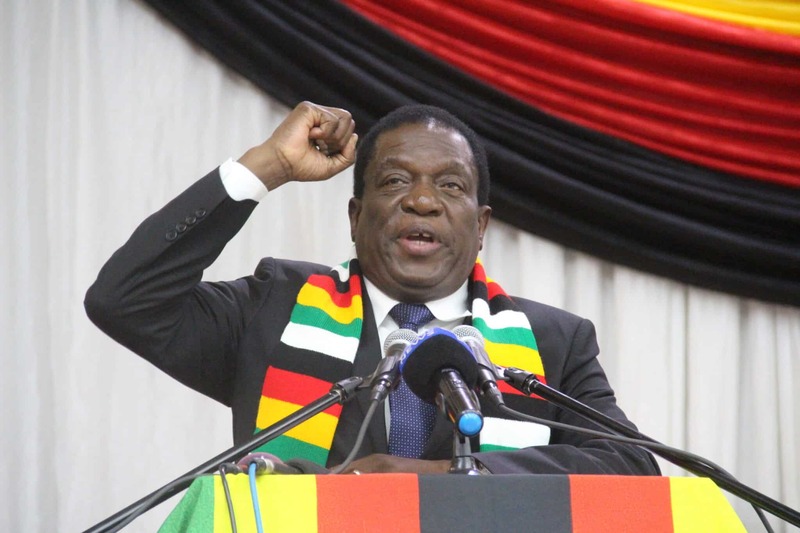 Posting on his twitter, Mnangagwa appeared to have solidified the opposition’s long standing allegation that the country’s justice institutions have been captured by the executive thereby compromising verdicts in favor of the ruling party officials. “Tendai Biti was released earlier today following my intervention. At such a crucial time in the history of the new Zimbabwe, nothing is more important than unity, peace and dialogue. “At such a crucial time in the history of the new Zimbabwe, nothing is more important than unity, peace and dialogue,” said Mnangagwa. Mnangagwa’s tweet did not go down well with various law experts and activists who took turns to castigate the President alleging that he has just confirmed the long standing accusation that he has captured the judiciary system. Former minister of education David Coltart said the tweet had grave implications on the autonomous of the judiciary system. “The PR firm representing Mr Mnangagwa clearly has no idea of the grave implications of this tweet. The judiciary is meant to be independent of Executive control. The rushed effort to remedy this PR disaster for the junta has only complicated matters further for it,” Coltart said. United Kingdom based lecturer and advisor to the late Premier Morgan Tsvangirai during the government of national unity also weighed in questioning how possible is it that Mnangagwa claims credit for releasing a person going through the judiciary system. “How does a president talk about the rule of law and that no one is above the law when he simultaneously claims credit for the release of a person who is supposedly going through a judicial process? Which other judicial processes can he intervene in to influence the outcome? “While the desire to take credit for Biti’s release is understandable as part of the PR campaign to portray ED as a reasonable man, you can’t claim this credit without at the same time confessing to having interfered in the judicial process, which is far worse,” added Magaisa. Another renowned advocate, Fadzayi Mahere voiced her concern on Mnangagwa’s claim on Biti’s case. However, United Kingdom based Zanu PF Representative Nick Mangwana jumped to the defense of Mnangagwa saying the president elect’s intervention happens in other jurisdictions. Foreign diplomats have said they are closely monitoring the crackdown the police and the army have launched on opposition senior members who are believed to be in hiding fearing for their lives.